Are you in a hurry to stock out your old jewelry collection? CASH FOR GOLD makes it easy for you. You can buy and sell any of your precious metals here with the best selling price. One can get the maximum value extracted from their broken jewelry none other than here. Our industry deals with buying any type of jewelry from broken, old, damaged pieces of jewelry. Also, we provide a wide range of services with mind-blowing offers in the way. While selling jewelry the first question that strikes anyone’s mind is whether it is profitable or not? 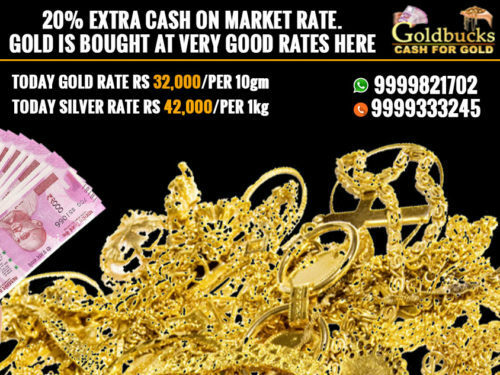 Yes, of course, CASH FOR GOLD not only makes your scrap profitable at your selling but also it does not require any kind of cleaning or servicing. During financial crises, it is the best idea to pay your bills with the unwanted or unneeded valuables like your jewelry. The metal is just weighed to determine the amount the client should get for it. Basically, karats in the broken parts are taken into account individually and then the highest possible cash for your jewelry is given to the customer. Other important services are tough our online platform, we offer 24×7 hour availability, to assist you with our professional executives. Also, our home pick-up services offer a reliable medium to transit ones valuables assets in no time. The experienced gold experts here offer 100% satisfaction to the customers. The rates are very reasonable here with zero added charges on evaluation or transportation. Also, the accuracy level of evaluation of the metals is very standardized with German Keratometer. Also, negotiations can be done as per the customer’s requirements. We maintain transparency on any of our procedures, and no fraudulent actions are appreciated from any end. Therefore, it is considered as the last option as we run a no profit and no loss business and strive to offer the 100% rates based on the current market. So CASH FOR GOLD is best for selling your broken jewelry.